The 2018 edition of the Rollins Faculty Exhibition showcases new or recent work by Rollins College faculty artists Joshua Almond, Rose Casterline, Dana Hargrove, Dawn Roe, and Rachel Simmons. The 2018 Rollins Faculty Exhibition previews for museum members; Rollins College faculty, staff, and students; and invited guests on Friday, April 13 from 5:30-7:30 p.m. at the Cornell Fine Arts Museum, alongside the Senior Studio Art Exhibition. Migration affects everybody either directly or indirectly. In Minnesota, there are 428,000 foreign-born residents, 8% of the population. This exhibition brings together twelve artists from distinct, ethnically and culturally diverse backgrounds, all born or currently living in Scotland. It assesses the historical and, at times negative, impact of Scottish colonialism on the United States, while at the same time tackling issues with contemporary migration, a complex subject with rapidly growing relevance in the current political climate. The work presented is personal as most of the artists are migrants themselves. Referencing the title of James Baldwin’s 1962 novel of the same name, the exhibition highlights that for each individual living in the same city, America can become ‘another country’, depending on one’s ethnicity, status and situation. Prejudice against migrants has been in place for generations and our aim with the project is to highlight that migration is an ancient phenomenon that has not always been welcomed but has enabled significant benefits for countries that eventually become home. The exhibition does not aim to instruct the visitor but rather encourage a discussion. Through a series of events and seminars it provides an opportunity for sustainable dialogue with migrants, artists, students and academics that will lead to new insights into community building and integration. The project is co-curated by Euan Gray, Elaine Rutherford and Alberta Whittle. 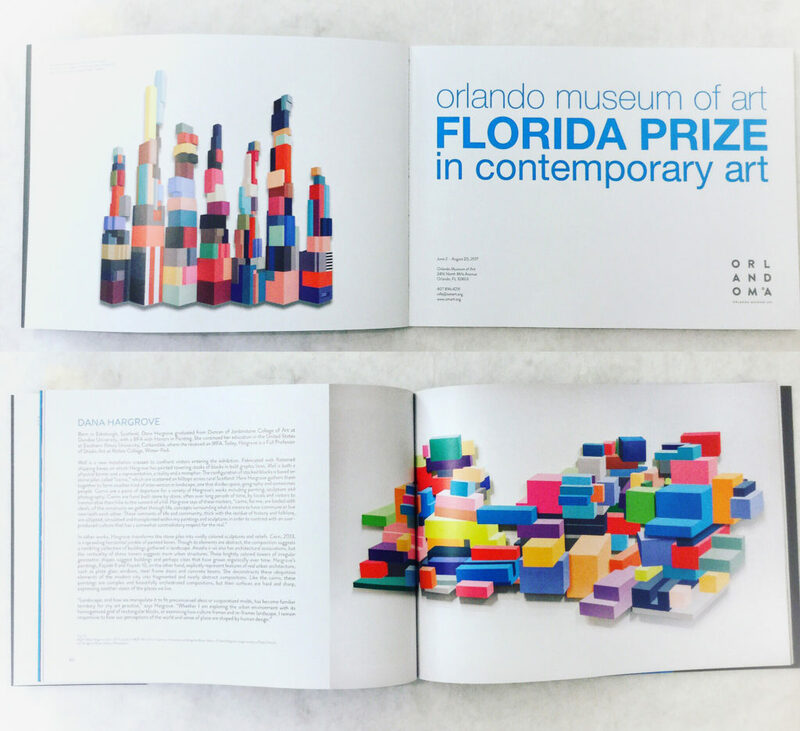 The catalog for the Florida Prize 2017 is now available at the Orlando Museum of Art Bookstore. Installation images from ‘Precipice’, a group exhibition Dana Hargrove curated in Iceland. Artists included: Dana Hargrove, Dawn Roe, Rachel Simmons and Lee Lines.